My Mom is all about buying skin care on Amazon these days. She bought a peel (behind my back without consulting me), she bought extractors (for my treatment room-very sweet of her), and I’m sure she bought a rash of things that I have forgotten at the moment. Mom is very generous and shared her latest purchase with me: Tony Moly Shiny Skin Soap Egg Pore. Do these cleansers do anything special or are they your average run of the mill cleansers? Who sells product that has no description, instructions, or ingredient listings? Are the two eggs the same just different colors, or are they different with different purposes? The packaging is super cute. Who in the world wants shiny skin??? Shiny skin = stripped skin = problematic skin = NO BUENO. Do I wet it & roll it around in my hands the way I would use a regular bar of soap? They’re HIGHLY fragranced. They are in shrink wrap and I can smell the perfume…and I don’t like it. What the heck is this stuff??? The foam from the cleanser can be left on the skin as a mask for 10 minutes. Irritated skin when used daily. Seems to clean skin well, pores too. Contains egg (don’t know how they knew that because their packaging was just like mine). White egg is the morning cleanser, Dark egg is the evening cleanser (but why? What ingredients are in the dark egg that make it better to use at night?). Tony Moly products are sold at Sephora. Wait, what? Maybe Sephora can help me? So I hit up their website and sure enough, Tony Moly is sold at Sephora but not these questionable little egg pore cleansers. Drat. My next thought was “Not good.” So I did the next logical thing…Googled it. 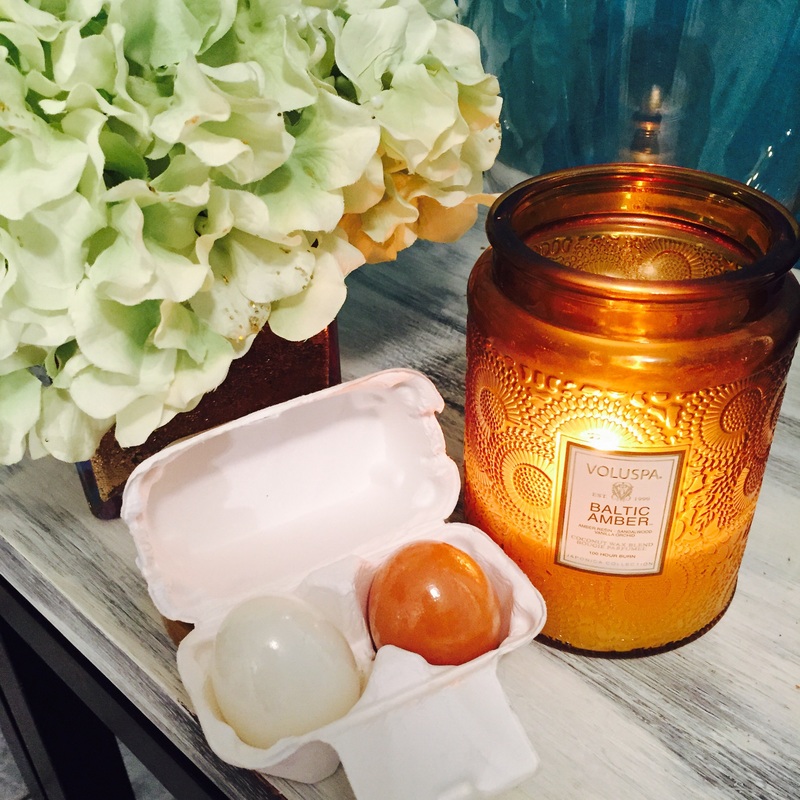 Egg soap that reduces pore size, removes sebum, and waste from the inside of pores. Contains egg whites, red clay, and coconut oil. Can be used as a “pack” which I think translates to “masque”. To use: make sufficient foam with lukewarm water, gently massage into face and rinse. To use as a “pack”: after washing make a thick foam, apply evenly over the entire face and rinse after about 5 minutes. A few things jumped out at me. One is that Mama don’t put foaming cleansers on her face. Detergents make face soaps foam and they strip the skin. Two, “about” 5 minutes? You don’t know exactly how long this product you’re selling is supposed to be sitting on my face? Three, you can’t shrink pores. You can soften their appearance but you can not shrink them. Their size is determined in your DNA. Unless you’ve been going to hard on your skin while exfoliating which can effect pore size (makes them big sometimes), then you’re stuck with what ever pore size you’ve got. Finaly, a cleanser is on your face for such a small amount of time that it wouldn’t effect the size of your pores any way. So far, I’m feeling like this product MIGHT grace the back of my hand and then become bathroom decor. They described the face wash as deep cleansing handmade soap. “Sebum care.” For people who have blackhead, dead skin cells, “wide pores”, and “glossy sebum”. There weren’t any directions, but that’s ok. I’m pretty sure I don’t like this product already. Lol. I mean, what the heck is “egg pore” and “glossy sebum”? I’m guessing that means oily skin, but lol. What a cute way to describe oily skin. I’m sure the directions didn’t translate well, and I just think it’s so cute. Look. I have to stay true to what I have learned about skin and how to properly care for it. If one of my family members, friends, or clients came to me and said I found this really great egg shaped cleanser and the afore mentioned is what it does or what’s great about it, I would say “No Ma’am/Sir. Chuck that cleanser and go get the appropriate PCA skin cleanser for your skin, Cetaphil, or CeraVe. That cleanser is going to ruin your skin.” I’m not putting this on my face. No way. I read a lot of the reviews on Amazon.com but they said a lot of stuff that couldn’t possibly have happened to their skin because of this product (based on the limited amount of information that I could find). I’m greatful that Mom introduced me to something new because you never know when you’ll find your next holy grail product, so I’m going to keep these little eggs as decoration in my bathroom and I’m going to discourage you from using them.